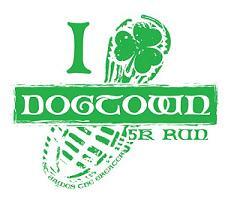 This is a wonderful, family friendly event thru the streets of Dogtown. By participating in this event, you can feel secure in the knowledge that you have helped create an environment where students at St. James the Greater School can achieve success, both in the classroom and on the playing field. St James athletic association does not keep children from playing sports due to inability to pay, which makes this fundraiser even more important. Unisex t-shirt, available sizes S-2XL. Awards | Top 3 overall male and females. Top 3 males and females in the six age categories.